We have only four more days here before we head home to the US, so there was no rest on this Sunday. This morning we met with Fiona, the woman who will be making covers for our v-berth cushions. She is also going to make new fitted sheets for our strangely shaped aft-cabin bed. 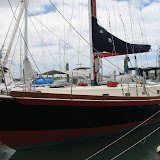 We went to her boat, what we would call a trawler but is called a launch here in New Zealand, and made a final decision on v-berth cushion material. We then went shopping for the sheets she will cut and shape to fit our bed. I guess I have never really paid attention to thread count before, but we found a good deal on 600 thread count Egyptian Cotton sheets that feel like satin. Mark delivered those to Fiona, so she is now all set to do the sewing while we are gone. We didn’t have to return the rental car until 2:30, so we took advantage by doing a little grocery shopping as well. Once we got back to Windbird, I made an Artichoke Rice salad to take to the Sunday barbeque and then it was time for me to get serious about sanding and varnishing the cap rail around the cockpit. It gets a lot of abuse as we use it as a stepping platform for getting into the cockpit, so the varnish wears quickly. I got it sanded and applied one coat of varnish. I’ll go another tomorrow and another on Tuesday. That should protect it until we return in February. Mark worked on the aft head replacing some parts so things will work more smoothly. And before we knew it, it was time to go to the Sunday evening marina barbeque. What fun we had this evening. First, the Artichoke Rice Salad I made was quite a hit. Linda Stuart sent this recipe to me a couple of weeks ago, but this was first chance to try. Thanks, Linda. 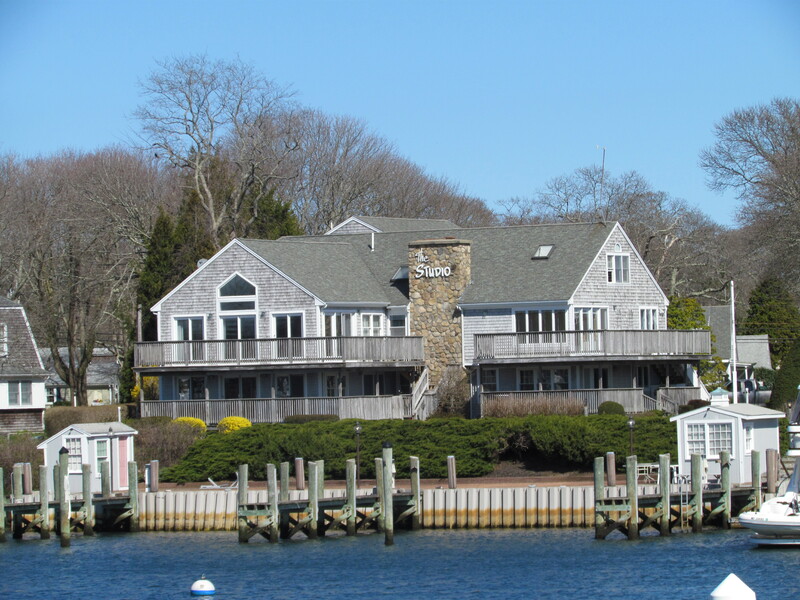 We talked with Jenifer and Campbell of Camdeboo and Yvonne and Bill of Windsong. We have really enjoyed getting to know both couples. And then we met Scott and Pam. They are from the US and both are legally blind. Pam has slightly more sight than Scott, but the fact that they are attempting to circumnavigate is just incredible. They do use lots of technology and their story of crossing to the Marquesas from Mexico with no engine is quite exciting. They started out from California in 2004 and lost their internal engine water pump somewhere in Mexico. There was no way to repair it, so they crossed to the Marquesas with no engine. They spent five or six days becalmed on the Equator, but finally got enough wind to continue. Once they reached the Marquesas, they got an external water pump installed, but this only allowed them to run the engine for five minutes at a time. So they made it all the way to New Zealand with virtually no engine. They are truly an amazing couple. Pam is from Southwest Harbor in Maine but I am not sure where Scott is from. They are spending their second season here at Riverside Drive Marina, but this year they are on a different boat. They had to sell their Valiant since repairing the engine seemed insurmountable and they now have a boat they bought here. It was just put in the water yesterday and their slip is just one away from ours. They tell their incredible story on their website-www.BlindSailing.com. I have not had a chance to check it out, but I’m very anxious to do so. In addition they were interviewed by NPR while they were home recently and the story about them should be airing sometime this week. Tomorrow we will continue to work away on the items on our two page TO DO list. We’re getting there, but there is always more to do. That’s the way with sailboats. We got up early this morning and headed for Auckland. We had rented a car yesterday and decided to take advantage of it to go to Auckland to inquire about campervan rentals for our NZ tour in March. And we are SO glad we did. We have been researching on the internet, but this is one case where seeing the product and talking to someone who knows all of the ins and outs of island travel was really helpful. It takes about two hours and fifteen minutes to drive from Whangarei to Auckland. About half way there I said to Mark that I felt like I was in Scotland. The rolling hills go on forever and are so very, very green. There are vineyards and sheep and cows everywhere and from time to time you get glimpses of the ocean. Although I have never been to Scotland, the drive fit my image of that country. When we returned, I decided to do some laundry. While in the laundry room waiting for the clothes to dry, a woman named Liz came in. She is from Scotland and her husband, Hans, is from Switzerland. She was telling me about their recent tours of the North Island and she mentioned that she is as much at home here as in Scotland. She confirmed my image. When we reached Auckland today it was pouring rain. That might have tainted our image of the city, but somehow we were not as impressed with Auckland as others. It is a clean city, but it didn’t seem to have “character”. I’ll have to visit on a sunny day and see if I have a different impression. We drove south to the airport to check out the campervans. The airport is about forty-five minutes south of the city and by the time we got there, the rain had slacked off. We were very lucky to get a most helpful young man and he gave us the short course in Campervan 101. He was unbelievably helpful and really knew his stuff. And for that, we are very grateful. 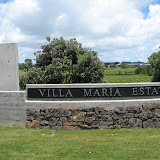 When we had come in to the campervan lot we saw a sign for Villa Maria Vineyards. This is one of our favorite wines, even though we aren’t big wine fans, so we decided to check it out. The vineyards are in a volcanic crater on the edge of an industrial park. It doesn’t sound like the perfect setting, but it really is beautiful. We were given a tour of the processing plant and I was most impressed that there are 180,000 bottles worth of wine in just one the tanks . . . and there are hundreds of tanks. So much wine! Having accomplished our campervan mission and having the added attraction of visiting the Villa Maria Vineyards, we decided it was time to find our way back to Whangarei. It was a great day with beautifully scenery and we were able to get the information we needed and still had time to visit a vineyard. Perfect day. 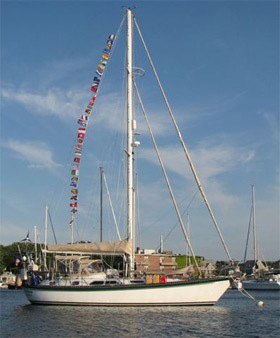 Yesterday we completed the cleaning and drying of sails that are stored under the v-berth, polished more stainless on the boat, and got ready for Doug and Sylvie of Windcastle to arrive. They got here around 1:30 pm and we spent the remainder of the day exploring Whangarei together. We had dinner in town and got back to Windbird in the evening. We stopped at the New World supermarket on the way home and bought vanilla bean ice cream, fresh strawberries, and Belgian chocolate dessert sauce. We fixed these incredibly delicious ice cream sundaes when we got home and then decided to watch a DVD. As a bon voyage gift, our daughter Heather had given us a new copy of Fiddler on the Roof, one of our very favorite movies of all time, so we watched that one last night. Or at least we attempted to watch it. We got half way through and it was 11:30. That’s later than any of had stayed up in ages, so we decided to stop there and go to bed. I didn’t get a chance to write my daily log, so I am combining yesterday and today’s log in one. We started this morning with a big breakfast and then Doug and Sylvie took us over to Town Basin to see George and Barbara of Gdansk. 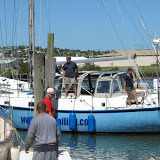 They arrived in Whangarei last night, so Doug and Sylvie wanted to see them before heading to Auckland. We found them on the town dock and we all said our farewells. We have become close friends with Doug and Sylvie and we will miss them. Doug will return to New Zealand in February, but Sylvie is not sure when she will be returning. 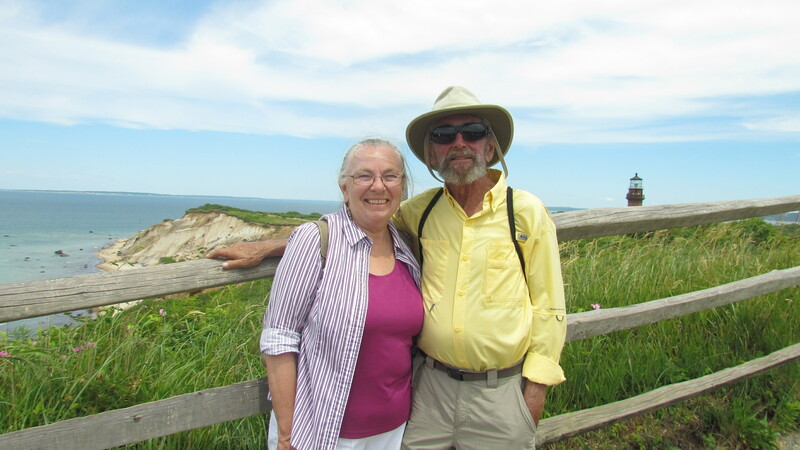 George and Barbara have decided to stay here through most of January and then they will return home to British Columbia and then on to Poland to visit with family. At this point, they don’t think they will return until next September or October. We will see them here before we leave, but after that we are not sure when we will see them again. After the farewells, Mark and I walked into town to the Plastic Box Store. We have been measuring spaces where we need plastic box storage and we bought those today. 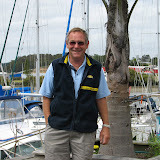 On the way home, Mark stopped by a boat in Town Basin to get a quote on making new cushions for our v-berth. A woman named Fiona on the boat Waimarie was recommended to us and after this initial contact, she came to Windbird this afternoon to measure and give us an estimate. Fiona didn’t have an exact match for the Ultrasuede covering that we have in the main cabin, but she and I are both going to look around town this weekend and see what we can find. While Fiona and I were discussing upholstery, Mark decided to rent a car for this afternoon and tomorrow to do some necessary shopping for our trip home and for running around to check on prices of rental vans and camper vans for our tour of the South Island in March. He got the car, and we did the shopping this afternoon. In the process, we think we found a match for the v-berth cushions. We’ll run that by Fiona tomorrow morning and then go on to do the rental pricing. Cool and rainy weather has been forecast for the weekend and it began today. The weather change started with howling winds and this evening it has started raining. If it rains tomorrow, that won’t keep us from doing our running around in the rental car, and if it continues to rain on Sunday, we will use the time to do some sewing projects that have been on hold waiting for a rainy day.